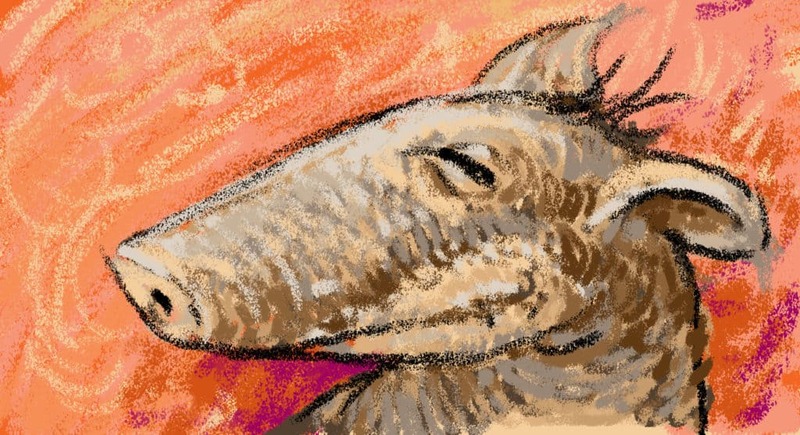 Here’s a sneak peek at the latest Photoshop Brush I’m working it’s a pastel brush (or crayon if we’re being honest) it’s called Wax Factor, and I’m already in love with it. It’s very fast, has a nice full texture when you draw with light strokes but with a bit more pressure easily fills in and gives rich full colour coverage. I will probably give away a hundred of these for free the day I publish it so stay tuned. Update: It’s now available and FREE for this weekend (Until November 11th 2014) Download this brush here. One interesting feature of this brush is that when you press hard it has a rough texture, but with very light pressure it becomes a blending brush and you can use it to smudge and soften your strokes or blend them together without switching tools.